Sara Wachter-Boettcher runs a content strategy consultancy based in Philadelphia, where she helps clients stop creating endless content and start building strategies that are sustainable, meaningful, and future-ready. She got this way after stints as a journalist, copywriter, and web writer, during which she became increasingly dissatisfied with the chaos typically found in web content projects. In 2008, she launched the content strategy practice at her past agency, Off Madison Ave, and started working closely with IA and UX teams to build a better way forward. Sara is the editor in chief for A List Apart magazine, where her writing has also appeared. 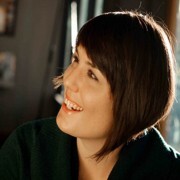 She also contributes to Contents and blogs sporadically on her personal site, sarawb.com. You can see where she’ll be speaking next on Lanyrd.